Time magazine ran a recent cover story called “Chore Wars” about the division of labor in married couples and how men may finally be matching up with women on workload hours. The article cited multiple studies that have shown that when all hours of “work” (both paid work outside the home as well as housework and child care) are accounted for, the totals for men and women are nearly equal. This was true for couples with and without children, and it contradicts the conventional wisdom that women carry a significantly greater portion of the workload than their working husbands. While it’s clear that both women and men work hard, does some of women’s belief that they do more stem from the fact that work hours at the office and work hours at home have different demands and rewards? Moms with full-time jobs, particularly those with young children, do in fact have the largest total workloads. And women may perceive that they are doing more because they have the bigger share of hours doing chores and caring for the kids than their partners, in addition to paid hours at the office. While they probably feel it’s important that a parent be at home and spend that time with their kids, working moms often feel unappreciated and exhausted in the short run as a result. Is it any wonder that many working dads feel like they just can’t win? Studies are showing that men feel more and more conflicted in the role of provider and involved father. A report from the Families and Work Institute speaks to the pressure men are experiencing, citing that 68% have experienced problems with their employer because of conflicts between their job and their duties as a parent, and 72% report that their income would decline if they worked fewer hours. So while wives want their husbands to come home earlier and help on the home front, the husbands are concerned about the impact that could have on their career, and their ability to provide for the family. Are these couples talking to each other clearly and realistically about how their family is going to manage work-life balance? While it’s a complicated issue, I do think a lot of the conflict comes from unmet (or unstated) expectations. The bottom line seems to be that whoever is the primary financial provider for the family will likely spend more hours at work. Historically, this provider role has primarily been the husband’s but that is one more element in this equation that is in transition. It’s clearly a complicated issue and the household dynamic continues to evolve and change. It’s important to look at the reality of the situation and appreciate each person’s contribution but it seems to me that there’s a lot more to reaching equality than just balancing total hours worked. We all have our favorite brands, but I found out that brand loyalty can rise to a different level when consumers have a direct connection or experience with a brand. I discovered this last spring, when I participated in a Nike grassroots campaign. To promote brand loyalty among its young female consumers, Nike hosted events at multiple college campuses across the country. Nike trainers came on campus and invited different groups to attend a college-wide workout. To encourage a large attendance, Nike offered free pairs of FreeRun shoes to the group with the most participation. When they came to the University of Texas, my sorority was invited and we jumped at the opportunity! Hundreds of people came to do, or should I say endure, the same intense workout together. Nike created a high-energy, fun atmosphere with a DJ playing music, and stations set up throughout the gym allowed girls to try out products, take pictures and even trade in their shoes for a loaner pair of FreeRuns to wear while working out. Brand slogans such as, “Make Yourself Strong,” were splashed everywhere including shirts for every girl to wear during the workout. The result was a gym packed wall to wall with young women who were completely immersed in the Nike campaign from their shirts to their shoes. And everyone left feeling a deeper connection and recognition of the brand and what it means to them. It’s one thing to see the ads and the products, but a personal experience takes the connection to the deeper level. This series of events allowed Nike to interact with their consumers in a direct and personal way. Nike personnel were on hand to talk to college women about all the products they are introducing and receive immediate feedback. Their message to women to “be the best version of yourself” and to stay healthy and active hit the mark with these young college women. Loyalty that is established early, especially among the valuable Gen Y consumer group, can pay off for years to come. 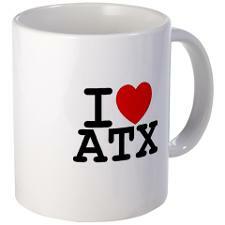 Austinites love their city, and we at On Your Mark are no exception. On Your Mark has been in Austin for 14 years and has witnessed and experienced the flourishing of this great metropolitan hub. While the city’s rapid growth includes less-than-ideal consequences like more traffic, and pressures on an already sparse water supply, there is no place we’d rather call home. The delicious food, vibrant music scene, and wealth of outdoor activities are close to all of our hearts, not to mention the incredible network and support of small businesses like ours. Small businesses are an important part of Austin’s identity and economy. Austin made a name for itself as the quirky off-beat Texas city decades ago because of the quirky off-beat businesses that have thrived thanks to consumers who are loyal to local. Because of this grassroots support and the entrepreneurial spirit, there are now many organizations that provide assistance to small businesses. One such small business is Austin Lumber Company, a third-generation family business now run by Laura Culin. After a fire tragically burned down her lumberyard and several buildings, Culin utilized the Business Solutions Center of the city’s Small Business Development Program and was able to successfully rebuild and restructure her company. People love to work in this city not only because of the government, private, and community support, but also because Austin’s culture mirrors small business culture: a casual environment with a hard work ethic. Running a small business isn’t easy in this economic climate, but in Austin it’s both possible and enjoyable.